Heavy topdressing, with sand depths up to 0.25 inches, following core aeration and vertical mowing, aids in recovery of turf. 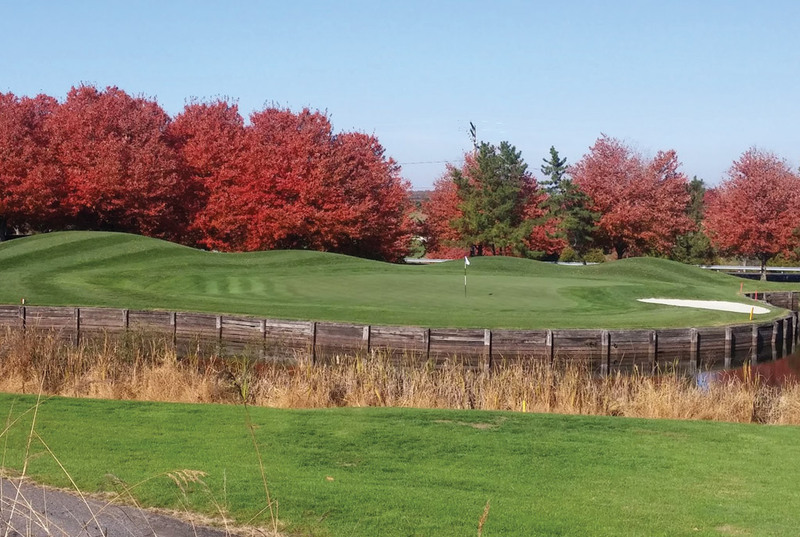 Rates can vary based on the various cultural practices that were performed but should not exceed the capacity that the turf canopy can absorb. 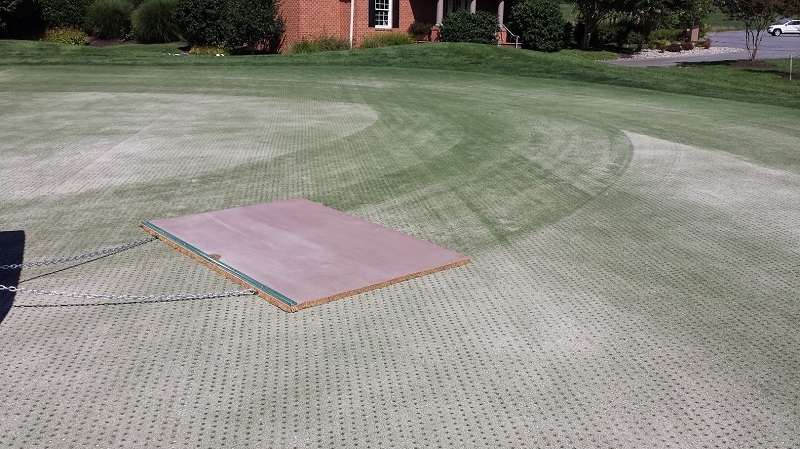 The use of dry sand helps fill aeration holes completely in one application, as well as speed recovery. Light and frequent topdressing is important for maintaining a smooth, firm, and uniform playing surface throughout the season, although research has also illustrated that it protects the plant crown from heat and drought stress, equipment traffic, and disease. This supplemental application of sand is also important to do regularly in order to reduce layering in the thatch profile and maintain good water-infiltration rates. Frequency should depend on turfgrass growth potential but can be done as often as weekly. Timing these applications just prior to rain or a deep irrigation cycle can help incorporate the sand into the canopy and minimize any negative impact on mowing equipment the following day. Topdress the playing surface at a rate that will allow the material to be absorbed and without burying the plants. Light, frequent applications of topdressing sand on putting greens can smooth out minor surface irregularities, aiding in the management of thatch accumulation. Use only weed-free topdressing materials with a particle size similar to that of the underlying root zone to dilute thatch. Topdressing the playing surface with sand improves surface firmness and smoothness, dilutes thatch, improves recovery from turf thinning or cultural practices, and, over time, modifies the root zone. Photo credit: Chris Harriman.